Oh !!! what a great privilege for us to greet you through our website. 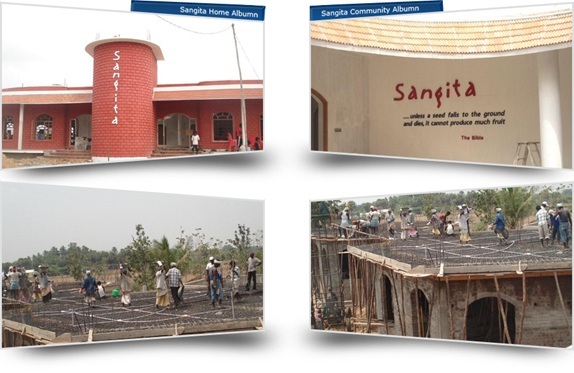 It gives us immense joy to let you know all thats happening at Sangita. Its been awhile we got in touch with you through our website......Its because we had put in alot of effort and time inspite of our hectic work at Sangita to present to you a newly designed website that has all new pictures and more information of our work. Trust you will enjoy going through the website and the new photo albums. 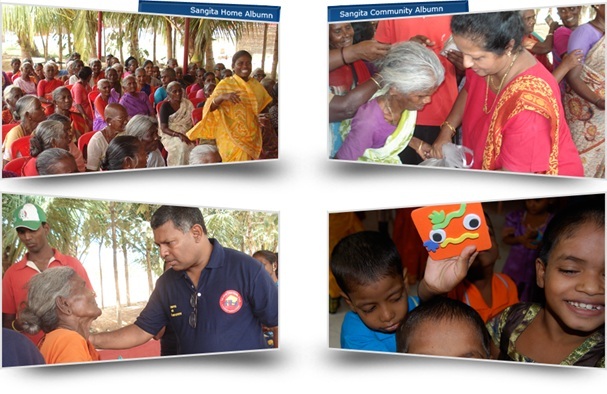 The past 3 months have been great at Sangita. The children and staff were all well the past year and the New Year 2009 has dawned upon Sangita with new vision and dreams . We hope and look up to God for accomplishing great things through the work of Sangita inspite of the huge challenge that we face with the worldwide economy crisis. The children at school have successfully completed their academic year on April 10th. Their school will reopen on 3rd June. Forty children will be in school this year. Its been marvellous to see the children progress learning English. We are very happy that the children will continue to stay with us until they complete their high school. Its summer vacation time here and the kids and staff are in a joyous mood. Some children will be going on vacation to be with their family Its going to be hard for them as they are used to alot of comforts at Sangita. 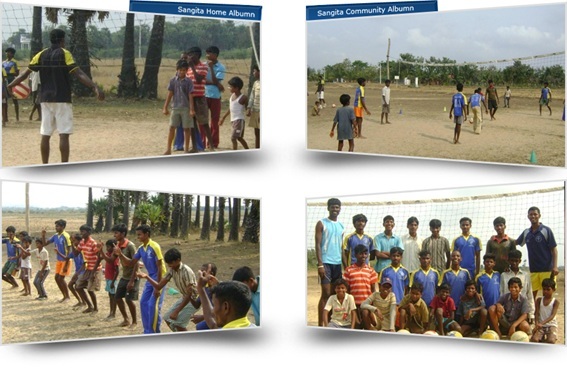 Its important they be in touch with their people in their respective communities because we expect them to go back into the very same places from where they came and bring in a transformation in the communities with all the real good values in life that they have been practicing at Sangita. We look forward to their return on june 1st 2009. Ten of our older orphan children who are in another orphanage studying are with us for the vacation. Its a happy reunion and we make the vacation a memorable one for them. The 250 widows whom we serve are doing great. 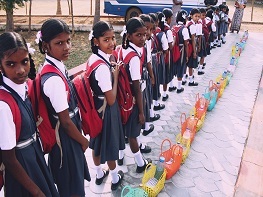 Every month they look forward to receiving the food provisions. Many lives have been changed for the better with the good values that we teach them. Twenty village youth come for free volley ball coachings that we conduct every Sundays. They have shown a lot of improvement in their game . Thomas standing extreme right is the coach who does great job. The new orphanage building first block with the dining hall, kitchen and indoor play area is almost completed. The housing block for the children and the staff is to be completed before they can move in. We expect that the entire project to be over by July. We would love you to visit our newly designed website and the new photo albums. You can even send in your comments and suggestions for any changes which can be done within 10 days from now.